Capacity per Compartment 1 qt. 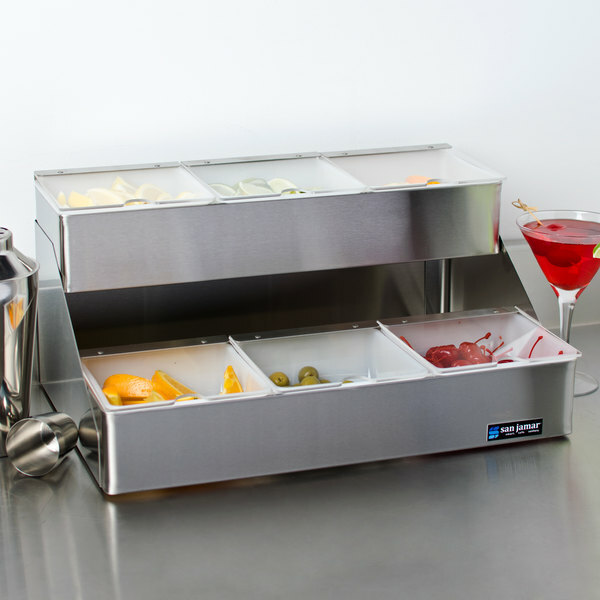 Thanks to its two tier, stepped design, this San Jamar B4706INL two tier condiment bin saves valuable counter space without sacrificing variety or selection! 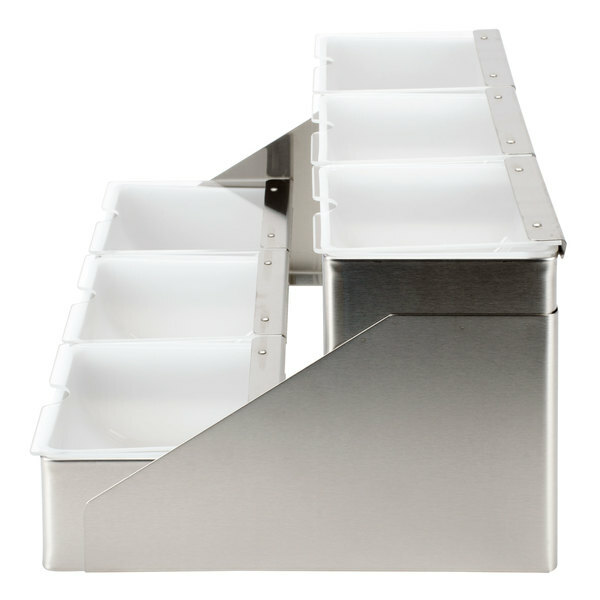 Customers will also have easy access to the front and back bins for convenient use. 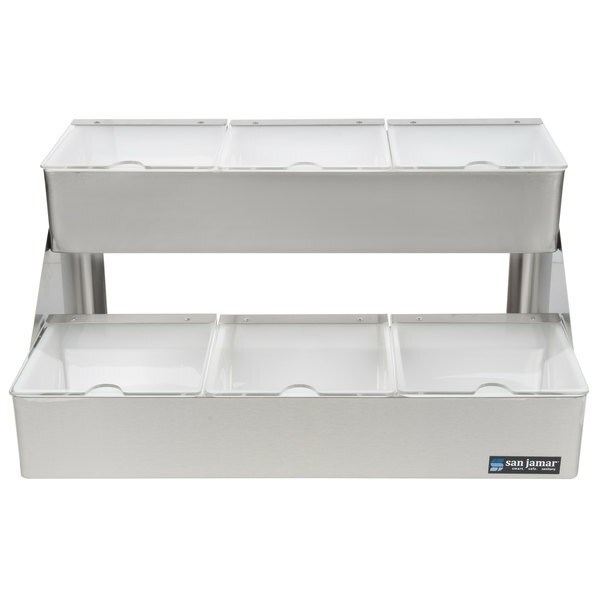 This condiment center is perfect for ice cream toppings, condiment portion control packs, coffee condiments, and more. This item comes with (6) 1 qt. 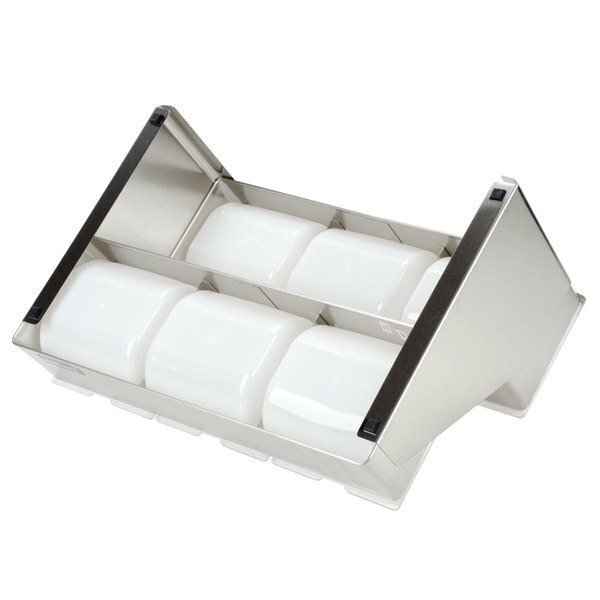 bins with individual notched lids. 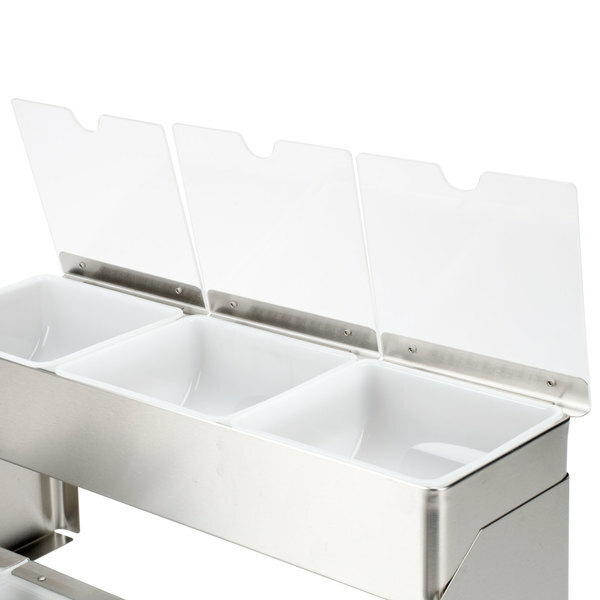 These transparent hinged lids allow for fast product recognition while notches help hold your topping spoons (sold separately) in place. 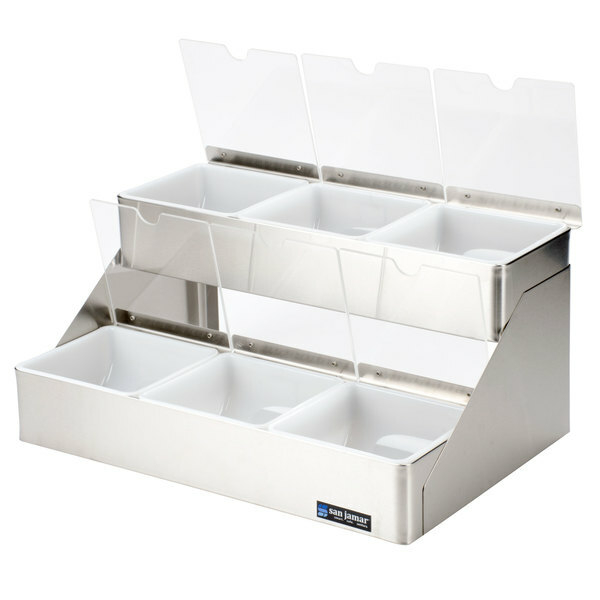 For convenience, the lids can also rest open under ideal conditions; however, they aren't designed to lock in place. 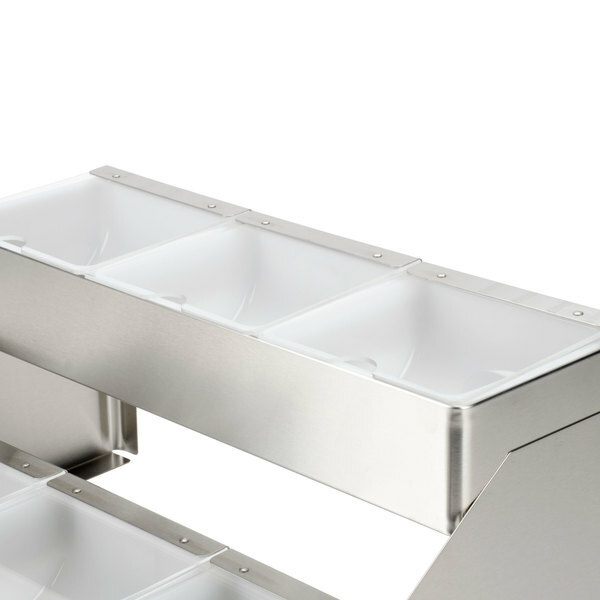 The stainless steel body is easy to clean and ensures a long life of serving your customers' needs. 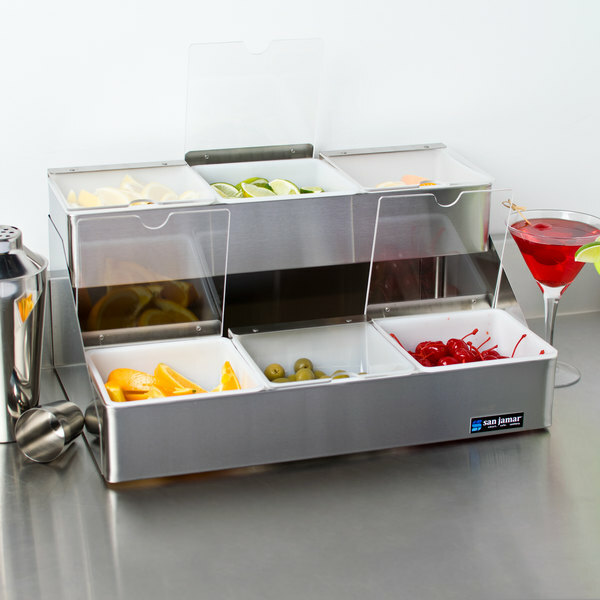 I use this condiment bin in our ice cream shop for holding the mix in toppings for our concrete mixers. The slotted lids allow for our scoops and the two tier allows us to get all six flavors in one piece of equipment. This is a new item for us with our most recent store, and we love it! It holds ice cream toppings and there's a little notch in the plastic for a spoon. Perfect size and a decent-size footprint!